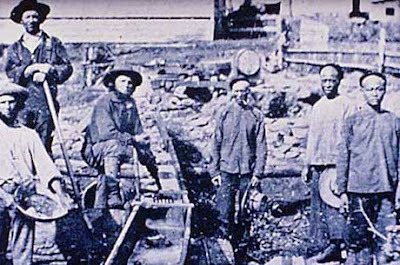 While Chinese migrants helped build the U.S. railroads in the late 1800's, many Chinese are still looking westward for economic opportunity. Some are sending their kids to cash-starved American universities...and the kids are coming back with bad impressions of America. Still, other entrepreneurial Chinese are making their way into Italy. And much like the Italians, many Africans are unhappy with Chinese workers moving in, working hard, and taking over the local market share. A sluggish global economy + 7 billion people worldwide = plenty more tension to come.